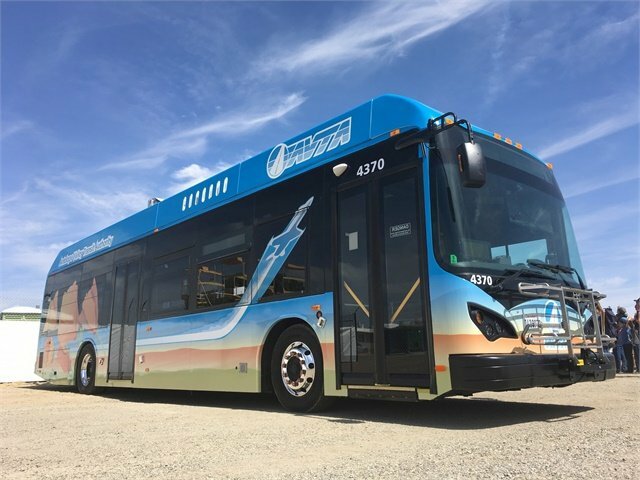 Chinese electric bus manufacturer BYD recently announced the production of their 300th bus at their Lancaster, California manufacturing plant at the same time Antelope Valley Transit Authority (AVTA), one of BYD’s first customers, begins closing in on an impressive landmark of their own. Coinciding with the announcement of BYD’s recent achievement, AVTA, the transit agency serving the cities of Palmdale, Lancaster, and Northern Los Angeles County, will soon reach their own goal of becoming the nation’s first all-electric fleet later this year in addition to nearing 1 million miles of zero emission bus operations thanks to BYD’s support. Since delivery of their first U.S. battery electric bus back in 2014, BYD has provided buses to customers in 13 states and four Canadian provinces, becoming the largest battery electric bus manufacturer in North America in the process with over 750 employees.